Are Treadmills Good for Your Health? A number of years ago, I was running on a treadmill and tripped. My neck fell right into the handle bar causing me to jerk my head and hit it against the interface. This made my entire body fall onto the tread and because the machine was moving, my body moved backward and then plopped onto the floor. Not only was this embarrassing, but painful. I could barely move from the neck injury. I am hardly alone. 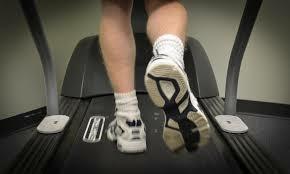 Recently, the treadmill-caused death of David Goldberg made national news as he was someone of high profile. 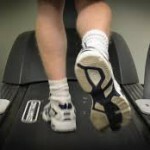 This has brought treadmill safety back into the spotlight. According to the United States Consumer Product Safety Commission, only 30 reported deaths from the use of treadmills occurred between the years of 2003 to 2012. However, injuries are quite common. How can you prevent an accident? 1. Pay attention. If you are the type of person who zones out while running, perhaps treadmill running isn’t for you. Losing your balance is one of the most major types of treadmill injuries and comes from people who step off to the side or get back on a treadmill without slowing it down first. 2. Don’t run barefoot. This can cause a stress fracture in the leg. 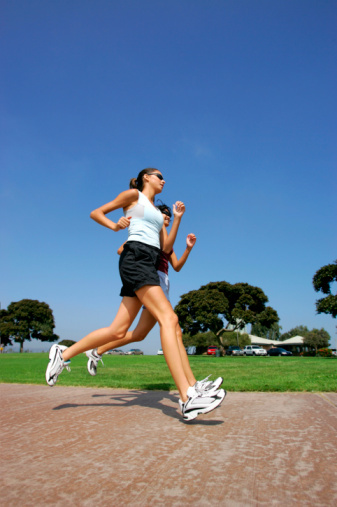 Wearing running shoes will give you better traction for the tread. 3. Stop making funny YouTube videos. I see it all the time at the gym–people videotaping their friends dancing on treadmills or creating pranks to get people to fall. 4. Be aware of the red stop button for emergencies. It’s common sense, but practice safety always! We all know the benefits of exercise and how running enhances our lives for the better. From muscular bodies, keeping the weight off, to giving you more energy, running provides a wealth of advantages to your life. Now you can tell your more sedentary friends and family that even a little exercise will still reap gain. In a recent study published late last month in the Clinical Journal of the American Society of Nephrology, participants who spent more time on the sofa than doing anything that raised their heart rates, changed their lifestyle to incorporate 30 minutes of walking each day. Results showed this reduced their risk of dying over a three-year period by 33 percent. Researchers wanted to know what the minimum threshold was to achieve any kind of health gains. “We know prolonged sitting is associated with poor outcomes,” Dr. Srinivasan Beddhu, a kidney specialist at the University of Utah School of Medicine in Salt Lake City and lead author of the new study told Live Science. They did find that activities such as standing or writing did not provide any health benefits. Basically it comes down to this: move. To complete this study, Dr. Beddhu and his team researched activities of more than 3,600 adults representative of the U.S. population. During the three-year study, 137 died from various reasons. Those who exercises more were less likely to die. So tell your less-inclined-to-exercise friends: a little adds add to a lot. Try making subtle changes to get out and move.